Florida’s prisons are more expensive than ever. What will the next governor do about it? 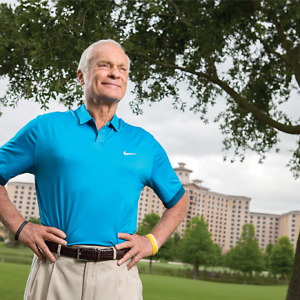 Hotelier Harris Rosen has a small empire, with nine hotels around Orlando. You might not expect to find out that Rosen is also an innovator in health care. Since 1991, Rosen Hotels & Resorts has been self-insuring. Full profile here. A bat that tested positive for rabies has prompted the Florida Department of Health in Palm Beach County to issue a rabies alert for part of Boca Raton. This is the fifth confirmed rabid animal this year in Palm Beach County. While a Wisconsin company that makes software to execute shipments and a trendy cellphone grip company out of Colorado may have taken the top spots in this year’s Inc. 5000 list — Florida still had an impressive showing. Federal authorities have charged 12 individuals with operating a multistate South Florida-based moving scam that bilked more than 900 victims. The scam was primarily operated out of an office in Hollywood and a warehouse in West Chester, Ohio. The botany room is one of several new features at Kennedy Space Center’s Astronaut Training Experience Center, a two-year project designed to simulate astronaut training and work on Mars. The attraction opened in February, but officials gathered Thursday to officially kick off the opening.